Thousands of English wrasse are being caught in Special Areas of Conservation (SAC) – protected under EU law – and transported to Scotland to be used as ‘cleaner’ fish by the salmon farming industry. Fish Legal has told Defra that in order to comply with the EU Habitats Directive1 it needs to assess the effect of removing wrasse – a popular angling species in the South West – in huge quantities from Special Areas of Conservation (SACs), such as Plymouth Sound, where they play a critical role in the ecosystem of the protected reefs. Where there is a risk that their removal affects the integrity of these reefs, an appropriate assessment must be undertaken. Few data exist on the abundance of wrasse on the protected reefs and simply introducing voluntary measures to reduce their exploitation is not enough. As a result, Fish Legal and the Angling Trust believe that the commercial wrasse fisheries within SACs should be suspended as a precautionary measure until more is known. Fish Legal is calling on the government to apply the precautionary approach to other MPAs, including Marine Conservation Zones, and manage wrasse exploitation in a co-ordinated manner to ensure the survival of wrasse stocks and the protection of the reef ecosystems they support. Evidence obtained by Fish Legal as part of a freedom of information request suggests approximately one million wrasse a year are now being taken from reefs and protected areas along the South coast of England. More evidence obtained confirms that Marine Scotland, the competent authority where the fishery started, have no idea how many fish have been removed but are “seriously concerned about stock levels throughout Scotland”. David Mitchell, Head of Marine at the Angling Trust, said: “Very little appears to be known about the impact of removing wrasse both on the stock but also on the reefs they inhabit, where wrasse play an important role in the functioning of the ecosystem. It is not clear what the changes in wrasse populations would be on the reef habitats being protected under European law. We are calling for the fisheries to be suspended until appropriate assessments have been completed and the impacts are known. The IFCAs where the fisheries are based introduced various management measures in 2017, but the Angling Trust believes that many of these measures are insufficient to prevent the serious depletion of wild wrasse populations. 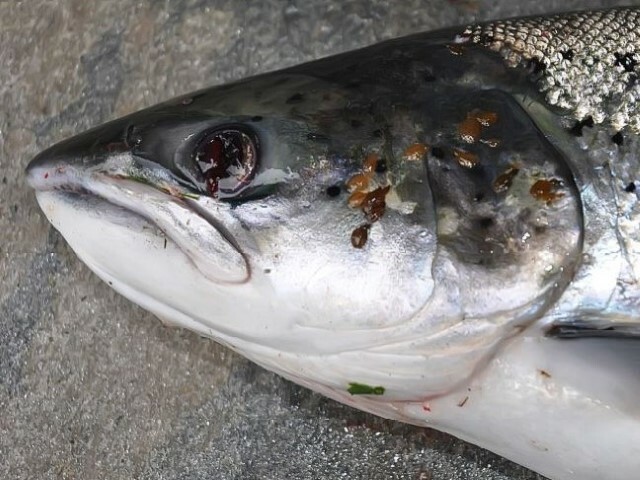 The Angling Trust wants to see accurate records of the number of fish removed, evidence supporting whether this is sustainable, and evidence detailing what impact the removal is having on the ecosystem. –3. Any plan or project not directly connected with or necessary to the management of the site but likely to have a significant effect thereon, either individually or in combination with other plans or projects, shall be subject to appropriate assessment of its implications for the site in view of the site's conservation objectives. In the light of the conclusions of the assessment of the implications for the site and subject to the provisions of paragraph 4, the competent national authorities shall agree to the plan or project only after having ascertained that it will not adversely affect the integrity of the site concerned and, if appropriate, after having obtained the opinion of the general public. –4. If, in spite of a negative assessment of the implications for the site and in the absence of alternative solutions, a plan or project must nevertheless be carried out for imperative reasons of overriding public interest, including those of a social or economic nature, the Member State shall take all compensatory measures necessary to ensure that the overall coherence of Natura 2000 is protected. It shall inform the Commission of the compensatory measures adopted.